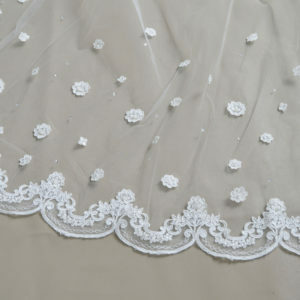 ELENA E1307 Long Horsehair edge veil with lace appliques. 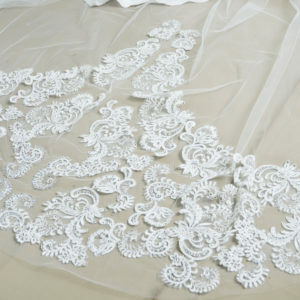 ELENA style E1196 Long Cathedral veil with lace appliques encrusted in rhinestones & beaded with crystals. 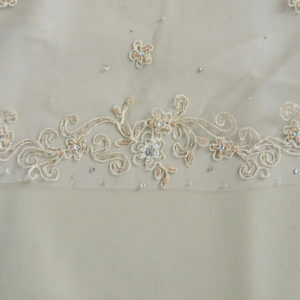 ELENA style E1196 short veil with lace appliques encrusted in rhinestones & beaded with crystals.